Myth: Chest pain is the only warning sign of a heart attack. 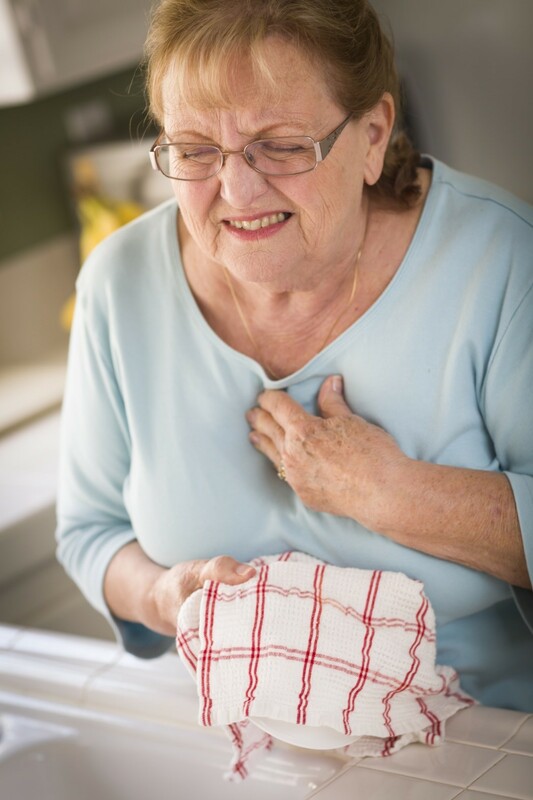 Although it’s true that chest discomfort is often a sign of a heart attack, there are more subtle symptoms of a heart attack that can occur without any chest pressure or pain. You may experience pain or discomfort in your back, neck, jaw or in one or both of your arms. You may feel lightheaded or short of breath and even nauseated. Take these symptoms seriously and seek medical help immediately! Myth: Heart disease runs in my family, so I can’t do anything to increase my heart’s health. Actually, you can do many things to help your heart’s health! Moderate exercise a few times a week, eating a healthy diet that’s low in fatty foods and cholesterol, and maintaining a healthy weight are all within your control and can help your heart to be healthier even though you’re at risk for heart disease. Just as importantly, if you’re a smoker, the sooner you stop smoking the better it is for your heart and your overall health. Myth: Heart failure means my heart has stopped beating. The heart stops beating during cardiac arrest. When you’re diagnosed with heart failure this means that your heart is not functioning the way it’s supposed to and it’s having trouble pumping blood throughout your body. You may feel short of breath and notice swelling in your ankles or feet. You may also have a difficult time sleeping or feel like you need to sleep in a recliner rather than in your bed. This is because your blood is not being transported through your body effectively due to heart disease, something that is quite treatable but requires medical attention. Myth: My heart is beating very fast. I must be having a heart attack. Your heart rate increases with moderate to strenuous exercise – even after walking briskly up a few flights of stairs! You may also feel as if your heart is “racing” after having too much caffeine. And sometimes people experience palpitations or an irregular heartbeat, called an arrhythmia, once in a while. This is not a cause for concern unless it’s very frequent and affects how well your heart works. If this is the case, you should see a cardiologist for treatment. Myth: The pain in my legs can’t have anything to do with my heart. Pain in the muscles of your legs could be an indicator of plaque buildup in your arteries and is one of the more subtle signs of heart disease. 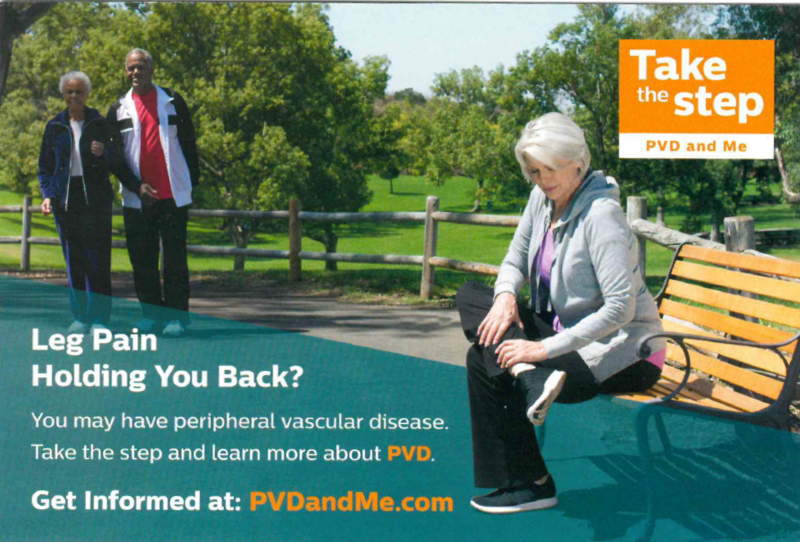 People with this condition, called peripheral artery disease, are at a greater risk for heart attack or stroke. If you’re experiencing this symptom, you should schedule an appointment with your physician today especially if you smoke or have diabetes. Myth: As long as I take my medication, diabetes won’t affect my heart. Diabetes and heart disease have coinciding risk factors. So even if your blood sugar level is under control, anyone with diabetes is more prone to develop cardiovascular disease. You can help lower your risk for heart problems if you stop smoking, maintain a healthy weight, exercise a few times a week, and eat a healthy diet. Myth: I don’t have to worry about heart disease until I’m older. Plaque starts building up in your arteries at a young age. This is especially so in those who have diabetes and smoke. It’s important to maintain good diet and exercise habits now since what we put into our bodies and how we take care of ourselves affects us later in life. Even young people can have heart problems, obesity and diabetes. Staying active is vital as well as enjoying sweets and fatty foods only on occasion and making healthier choices a daily habit! Myth: I shouldn’t exercise after having a heart attack. Being active helps to strengthen your heart! Your doctor will help you formulate an exercise plan that is right for you as you recover. You may begin with very light activity, such as walking around the block then gradually increase the strenuousness of your plan. Exercise not only can increase your life span after a heart attack but there are mental health benefits as well.